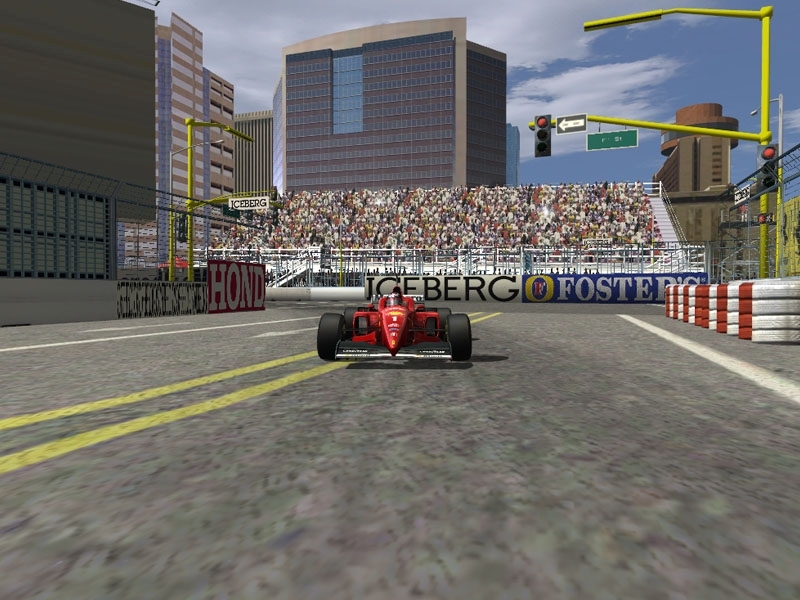 With permission by Nericksenna this track is an update to the 1.5-1.6 versions of phoenix 1991 street circuit. Update of this track as follows! :Redone new AIW file based on f1-1991 HE mod! :AI cars are now more competitive and a lot better on track! :Crowd and announcer +horn sounds are added to the track! :Start lights and pit lights are all working and corrected! I would like to give a big thank-you to ACEKING (AKA Terry) for his great work on the AIW file for Phoenix91 and for fixing the starting lights and pit-lights,his talents has made the ai so good ,because of the AIW very competitive and human-like racing! well done Terry. I also like to thank slimjim for the bumps added to manhole covers which this track has when the F1GP ran here back in 1991. And finally Nericksenna for making Phoenix91 in the first place! 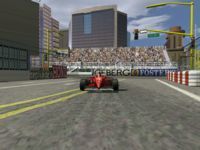 With permission by Nericksenna this track is an update to the 1.5 version of phoenix 1991 street circuit. :Concrete walls were reworked to feel more street circuit like. Warning! the AI on the first lap are a little rambunctious. This is a conversion with full permissions from Nericksenna (at racesimulations) of his 1991 Phoenix F1 track made for F1C. There is space for 36 cars, the full amount in the 1991 LE mod. It is an also 100% conversion from the original the only changes I made were small tweaks to the AIW file. Nericksenna for allowing me to convert the track. much for everything you've done for me! Ok, I finished the 1989 version (basic track and walls) the buildings didn't change much between 89-91 so most of the buildings will be the same as 91. This track is my masterpiece, I won't be able to make it more accurate, this is the real thing guys, to the extent where you'll be able to say that v1991was complete crap lol. So austmike is tweaking some graphic stuff and adding the necessary bits plus aiw, and we'll release it very very soon. For '90, only 1 bridge and sponsor modifications are necessary, maybe a couple of bumps here and there (as '89 the road surface was fairly smooth and degenerated year after year to 91 where the road surface was deplorable). Hey I love the updates to this track. Definitely ma favourite in rFactor. Have you ever planned to convert it to rFactor 2? That is a MUST! Thank you very much. Really great update. 1.7 is the first that I can really dig into and attack. I was at this race in 1991 and I think you really got the atmosphere with this version. Thank you very much. The size of the picture file in the file seems to be wrong and cannot start. This version is a good improvement. All right AustMike!! Thank you! I'll try it out tomorrow, meanwhile guess what guys?? Yep a new thread will soon be available as.... You guessed it: the 1989 and 1990 versions are coming. V1.7? Great news for us!